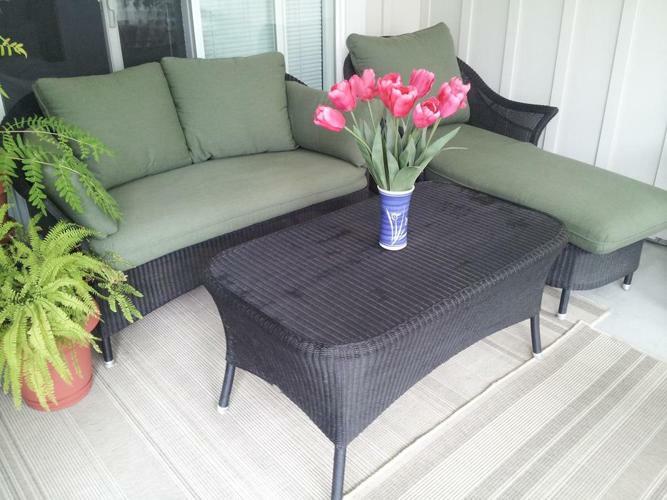 Beautiful 3 piece set, ideal for outdoor or sunroom. $500. Custom Sunbrella fabric cushions, colour fern. Orange wicker indoor/outdoor table $10! $10 In langford text 306-716-2568 or email ad. Thanks!